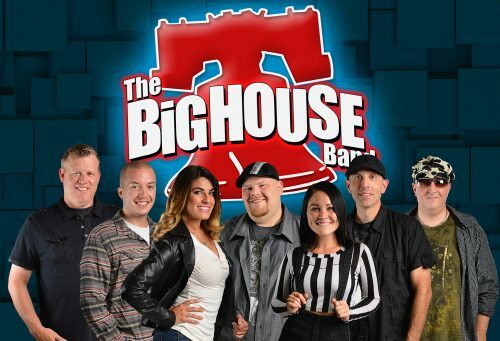 With a POWERHOUSE vocal line up featuring Jimi Milligan from NBC’s hit show, “The Voice”, along with Stephanie Chiofalo, Rachel Maya and Jeff Kessler, The BiG House Band has now been voted one of the Philadelphia Area’s Top 5 Wedding Bands for the 10th year in a row!!! With INCREDIBLE lead vocals that have caught the ears of the producers of American Idol, The Voice and America’s Got Talent, a phenomenal touch of SAX, a SLAMMIN’ rhythm section… and a list of TUNES that covers EVERYTHING from SINATRA, SOUL, FUNK, MOTOWN, ROCK, POP and CURRENT HITS…THE BiG House Band will get you on the dance floor and keep you there!! !